Purveyors of the coolest brands from everyday carry, apparel, footwear, and more, check out Huckberry’s Cyber Monday deals that you can save on all day long. Promos valid until 11/27 at 12pm EST. The Native Mercury Lightknit - Exclusive features futuristic breathable materials, sock-free comfort, and shock-absorbing EVA midsole and outsole for versatile movement. Whiskey Peaks offer handblown glasses with topographic impressions in each glass to commemorate some of the greatest mountain peaks in the world. Woolrich Fleece Mill Scuff Slippers feature a wool-blend upper, soft fleece lining, and a molded rubber outsole for quick trips outside. Use code SCUFF15 to save 15%. 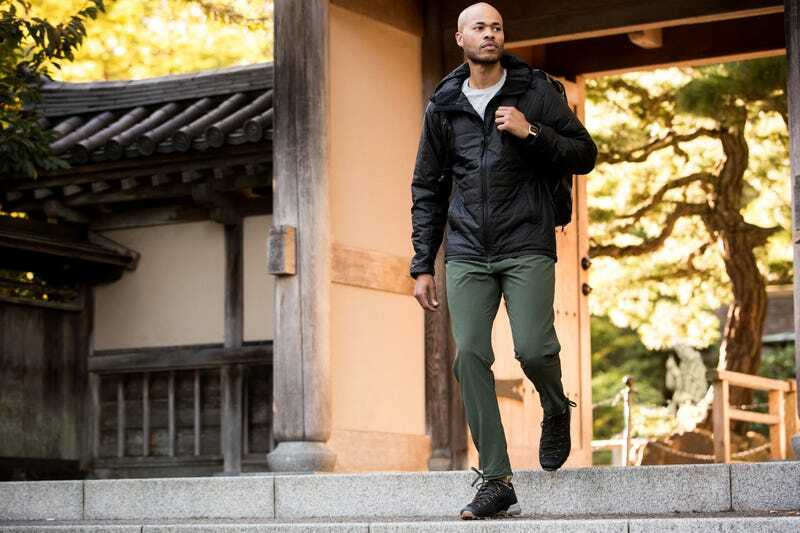 The Bottoms Sale features a collection of packable, breathable, ultra-lightweight adventure and travel pants perfect for the office and outdoors. The Shirts Sale comprises world-class crafted shirts with tailored fits, lasting durability, and ultimate comfort to add to the wardrobe collection. The Outerwear Sale features a selection of durable lightweight, midweight, and insulated winter jackets and vests to prepare you for every season. Proof offers high quality technical apparel with performance fabric designed for work, travel, and play, including the Performance Oxford and Highline Short. The Matador Packable Duffel & Pack Towel Bundle features a tactical rugged duffel ready for travel with Nifco hardware, water-resistant fabric. Seavees features classic low-key sneakers and boots designed for timelessness. Choose from some favorites including the Seavees Mariner Oxford, Malson Deserts, Huntington Middie and more. Ekster’s minimalist wallets feature a solar-powered GPS tracking, RFID blocking, and push-of-a-button card slider technology, with room for 7 cards, cash, and coins. Glerups feature a selection of cozy wool slip-on boots and shoes in classic styles including the rubber camp-sole editions, Huckberry exclusive color ways, and more. For all top picks from Huckberry, check out their Cyber Monday sale page.